Sonic the Hedgehog 2 or sometimes as Sonic 2 is a platform game that was developed in the United States by members of Sonic Team working at Sega Technical Institute, and published by Sega for the Mega Drive/Genesis. It was released in Japan on November 21, 1992 and in North America and Europe three days later on November 24, 1992 (Sega nicknamed the American and European release date, a Tuesday, "Sonic 2sday"). It is the sequel to Sonic the Hedgehog and was followed by Sonic the Hedgehog 3 in 1994. The game introduces Tails as a new playable character. The story follows Sonic the Hedgehog and his new partner, Miles "Tails" Prower (in later games simply referred to as "Tails"), on their mission to stop the evil Dr. Robotnik from stealing the Chaos Emeralds to power the Death Egg. Sonic and Tails must defeat Robotnik's army and free their friends. As of June 2006, it has sold six million copies, making it the best-selling Sonic game of all time, and the best selling game on the Mega Drive. The game was compatible with Sonic & Knuckles lock-on feature which allowed the player to play as Knuckles (a character who made his debut in Sonic 3, and playable debut in Sonic and Knuckles) in Sonic 2.Those are some facts about the game so feel free to discuss anything about Sonic 2 here. The best Sonic game out there, in my opinion. *Cough*Sonic 3 & Knuckles*Cough* Oh yeah it is! I was at a Fleamarket yesterday, and I saw a used game store. The guy there was busy playing Sonic 2 on his Genesis, with another copy for sale for only $3. Needless to say, I versed him in multiplayer and kicked his [censored]. He then gave me a N64 game. >.>; B!%c#, I wanted Sonic 2! Just to have another copy! That's his way of getting you back probably. XD I would of felt the same way. Wasn't there something in the two-player races where if one of the players hits it then both players would switch spots or something? I think I remember that being pretty much the only way I'd win in multiplayer. XD It's been almost 7 years since I've played it so I might be way wrong. So, Edward, what N64 game did he give you? I don't believe so. Never heard of that to be featured in Sonic 2. There's a multi-player mini-race for Sonic 3 & Knuckles though. 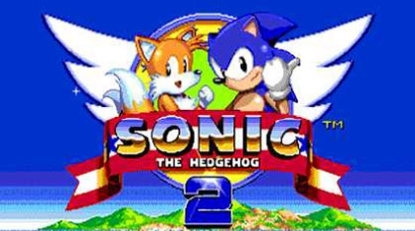 Sonic 2 was the first game in the franchise to have a multiplayer mode. That's weird. I don't remember playing Sonic 3 when I was younger. And now that I do play Sonic 3, I it's definitely not the one I used to play. I know for a fact that it was the second game. This is why I need I just get the dang missing wire already so I can play.